Fishing is no easy feat. It requires patience, time and persistence but it always pays off when you get a bite and reel in a substantial sized fish. Fishing is a hobby that can cultivate patience and teach us to appreciate the rewards of waiting. Although the old saying, “patience is key” is an old-time cliché and doesn’t exactly get fisherman pumped to go out on their next adventure, it’s a true statement that shouldn’t be forgotten. With the constant dependency on cell phones these days, technology is reducing our wait, removing the need for patience. We constantly want it now. We skip the advertisements on TV and get mad when a friend doesn’t text back right away. Patience is more than waiting; it’s about making the most of your outings and appreciating the little things. Patience isn’t something you can run to the store and purchase; it’s something that grows over time. So the next time you’re out on the water, instead of getting frustrated because you aren’t getting any bites, try enjoying the little moments and build your patience and persistence. 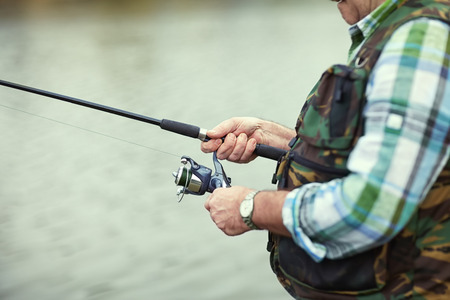 If you don’t have success on a fishing outing, it doesn’t mean that you should create excuses and assume that fishing is bad on that body of water. Many fishermen will try their luck on a lake, get skunked and never return again to give it another shot. You can’t expect every body of water to be the same, take your time, do your research and experiment with trial and error and you will be awarded. If you have an unsuccessful fishing trip, take note of what didn’t work and be willing to try again with different approaches. It’s very rewarding to catch a fish, especially when you know you’ve worked hard for it. Are you now feeling eager to get on the water and begin fishing while practicing your patience? 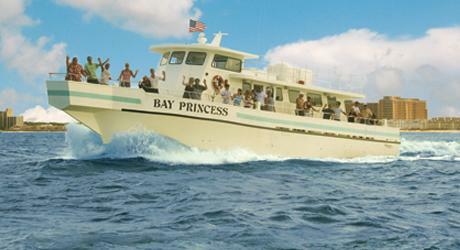 If so, we offer half-day fishing trips suited for the entire family. Although we can’t promise that the fish will always bite, we can promise that our experienced deckhands will work hard to make sure you have a great and memorable time. To make reservations or ask questions, please call Dockside Fishing Center, located in Virginia Beach, at 757-481-4545. Do You Know These Common Dolphin Behaviors?